People have become more reliant than ever on technology to make their lives easier in a variety of ways. There is a surplus of technological resources at our fingertips video communication, cell phone, computer, virtual reality, etc. Virtual reality is becoming increasingly common, and there seem to be apps for all aspect of our lives, no matter how obscured it may be. The same apps we use to play games and chat with friends are now utilized in the medical field to help fight alcohol and drug addiction, changing the way the disease is treated. Opioid dependence is a serious public health issue. In some opiate replacement therapy with buprenorphine, apps and a secure automatic pill dispenser (http://www.epill.com/medowheelsecur.html) are used in conjunction with one another. A huge problem in today’s world is the addiction to prescription drug medications. I came across an article on Challenges Addiction Treatment and Relapse Prevention Center’s Website and found that in the United States, there are more people abusing prescription drugs than cocaine, heroin, and ecstasy combined. According to the Centers for Disease Control and Prevention, deaths caused by pain medication overdose has risen from less than 4,000 in the year 2000 to more than 11,000 in the year 2007. The Office of National Drug Control Policy also says that opioid abuse is the second-leading cause of accidental death in the U.S., after car crashes. With statistics like this, it is important to recognize if you or someone you love is fighting an addiction to pain medications. There is an e-pill device that might be able to help. 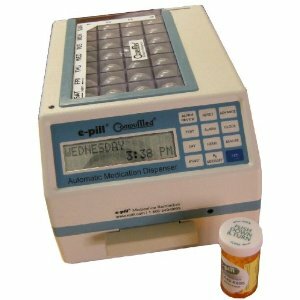 It is called the CompuMed and it is the most tamper proof automatic pill dispenser on the market. Dealing with an addiction is a hard thing to overcome, but this machine could help to fight the battle. It is important to find someone who can be trusted to fill this machine for you each week, and keep the keys to the machine with them. It is completely tamper proof and will keep the person from getting inside to the pills. An e-pill CompuMed can change one’s life for the better. 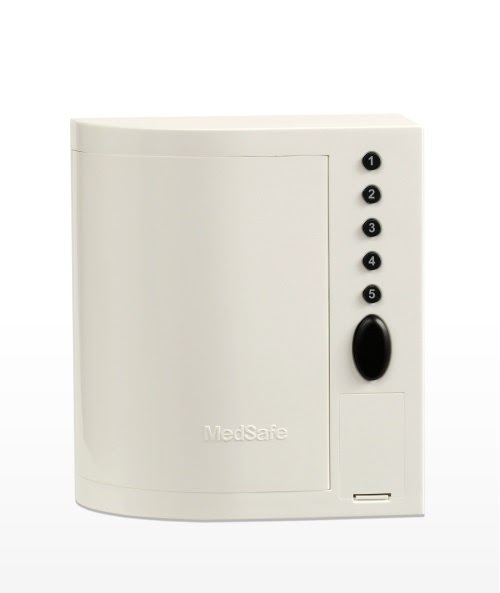 If the CompuMed is too far out of your price range, you may want to try something like the MedSafe. The e-pill MedSafe is a digital medication lock box. This safe is not tamper proof like the CompuMed, but it uses a state of the art digital lock and does not come with keys. For more information on the MedSafe click HERE. Beating an addiction is a hard thing to do, and now e-pill can help you or someone you know get on the road to recovery.